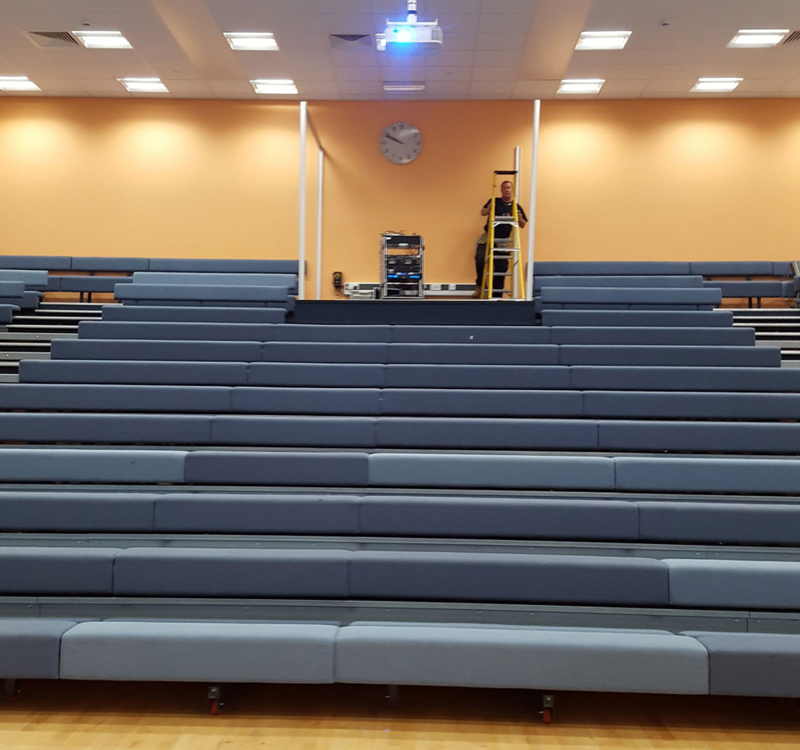 Our fitters have recently finished a job in a school in Manchester. 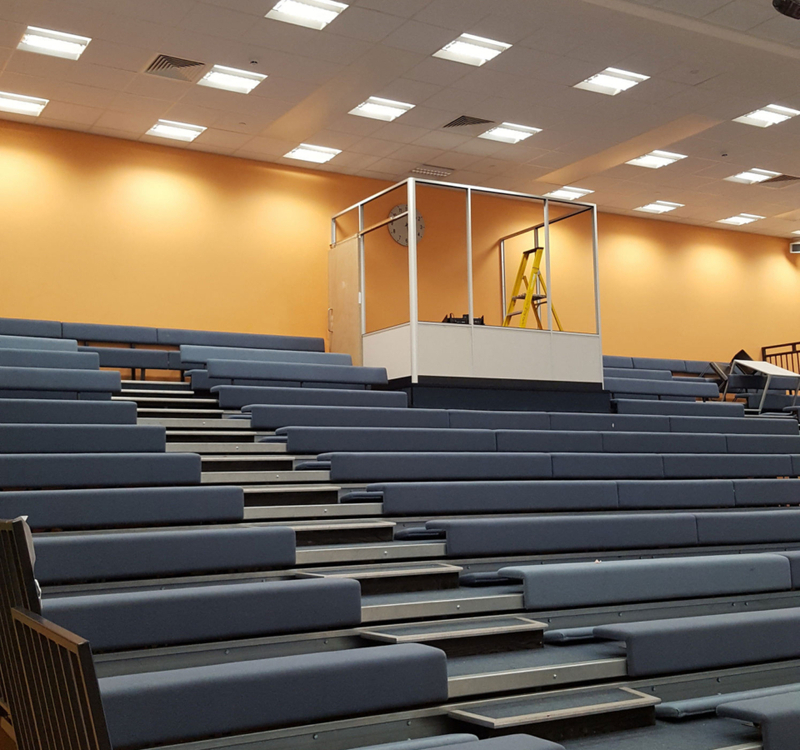 The school needed a partition fitting in the gymnasium. There are various team games and practices taking place which needed a “control room” for music and sound during these events. 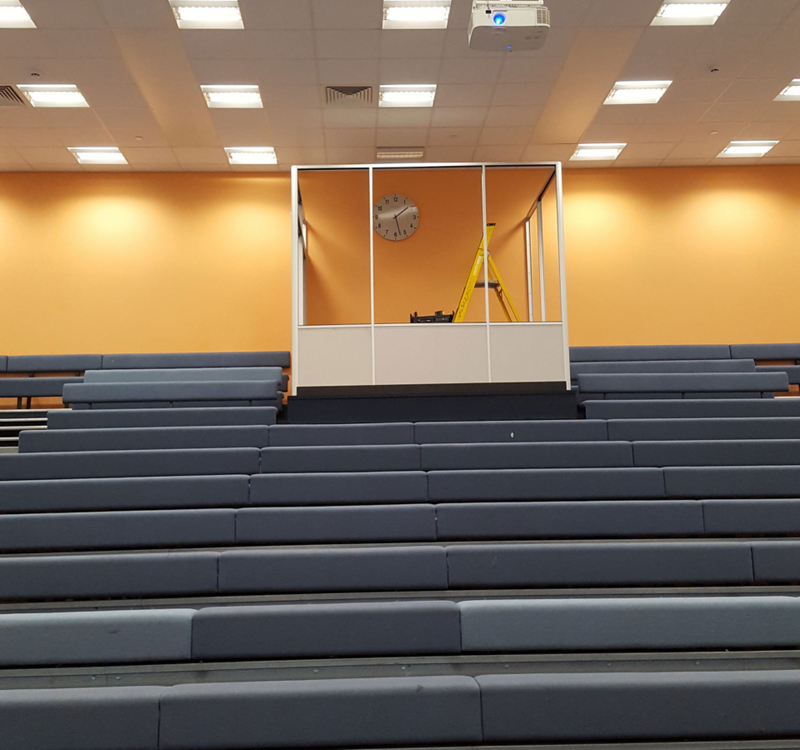 Our fitter installed a glass and frame partition to ensure that the inside of the area was relatively sound proof.